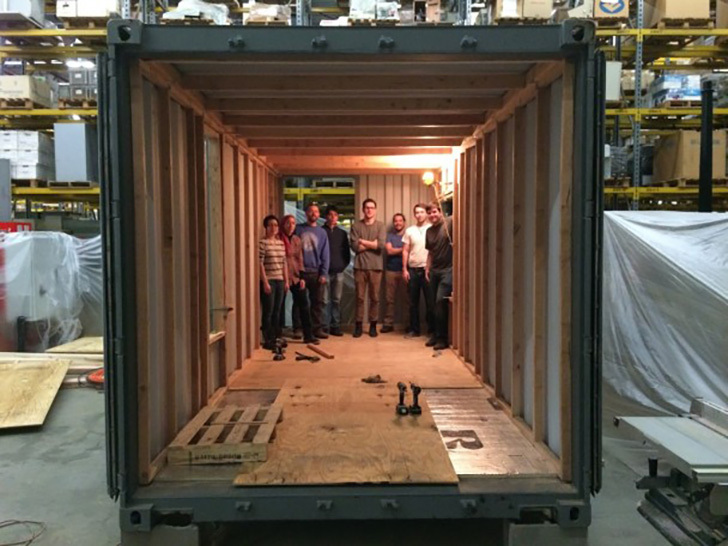 These days it’s common to see a shipping container transformed into a tiny house, hotel or restaurant. But not until now have we seen this. Meet LIGHTHOUSE, a fully functioning one-room mobile hotel. 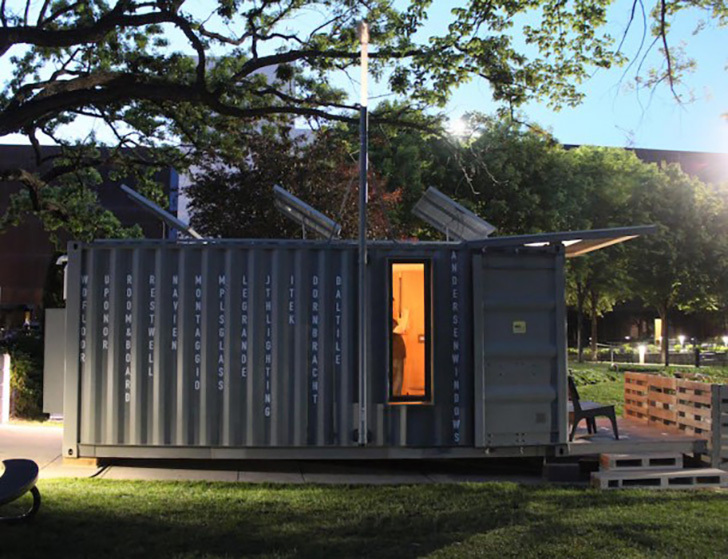 The 8’x20′ space is a beacon for urban ecotourism and a postcard for sustainability. LIGHTHOUSE was designed by Geoffrey Warner, AIA, principal and owner of Minneapolis-based Alchemy Architects. It was constructed by University of Minnesota College of Design’s School of Architecture students alongside Warner and a team of design/build professionals. Students from the University of Minnesota College of Design’s School of Architecture. 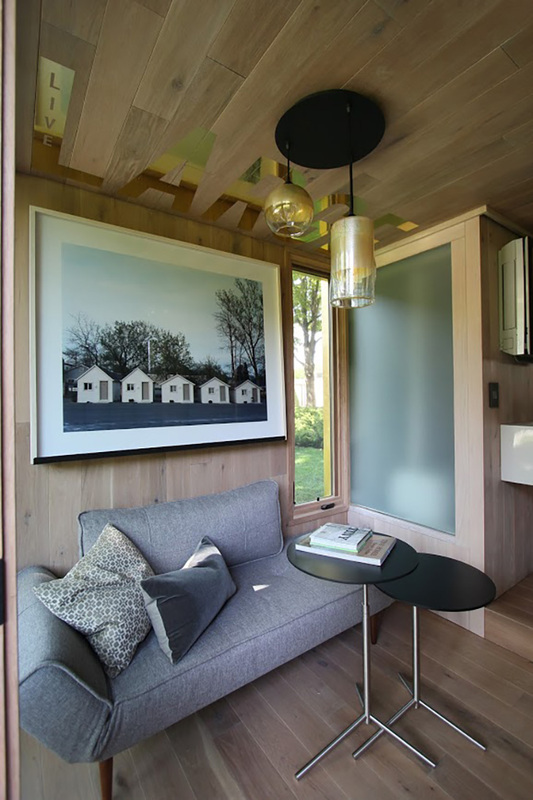 Built for year-round use in Minnesota, the LIGHTHOUSE tiny house and hotel features a spray foam shell, triple-paned windows and doors, solar powered HVAC, all LED lighting and hydronic inflow heat. It also includes a 250-gallon water tank, on-demand water heater and bio-filter liquid waste storage that functions a shower and toilet. An online public digital dashboard maps water, power and waste usage, guest experiences and the LIGHTHOUSE’s itinerary. 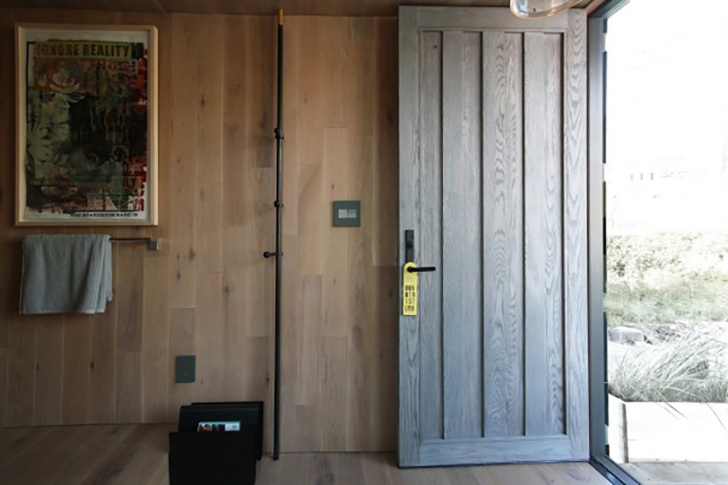 The entryway featuring Room & Board’s Shelter magazine stand. Room & Board furnished the tiny space with modern accents, including our Etna Convertible Sleeper Sofa, Ike Tables, Luster Mixed Pendants, Shelter Magazine Stand, accent pillows and bedding. The bed featuring Room & Board bedding and pillows. Room & Board’s Etna Convertible Sleeper Sofa, Ike tables, Hennepin Made Luster Pendants and accent pillows. A peek into the modern bathroom. LIGHTHOUSE at Northern Spark, the annual dusk-to-dawn arts festival. Lighthouse made its premiere at Mia’s “Third Thursday: Art of Sustainability” event on May 19. 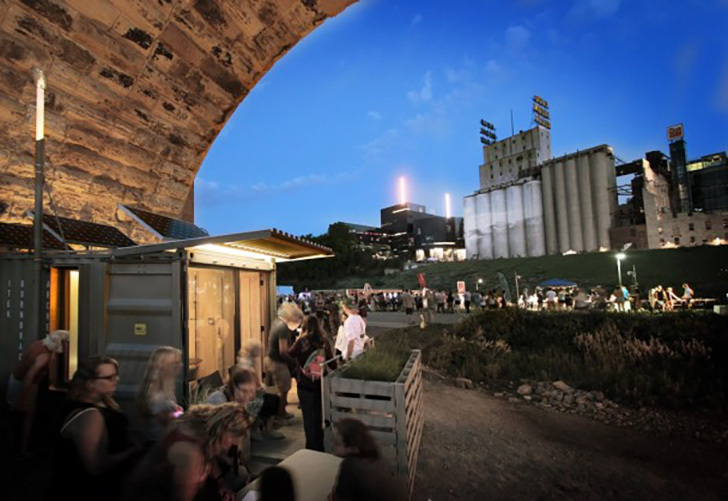 Since then, it’s been on display at Northern Spark, an annual dusk-to-dawn arts festival, and will continue to move throughout the Twin Cities. 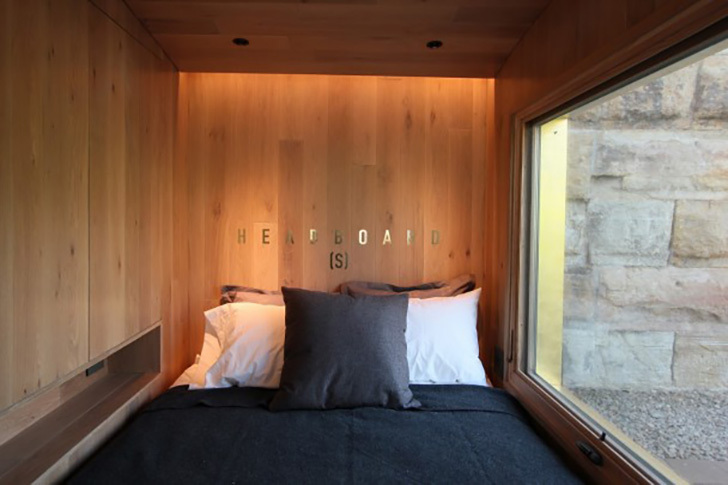 Check it out to see if you could live in a tiny house! I will forward this article to him. Quite sure he’ll have a great read.